​ The more researchers and nutritionists look at breast milk, the more benefits they find. As it turns out, human breast milk is perfectly balanced for human babies, delivering the ideal amounts of fats, proteins, and vitamins. In almost all cases, breast milk from a healthy mother is recommended over baby formula or cow’s milk for the baby’s first six months. It’s not surprising that a healthy mother produces healthier milk for her baby. The vitamins and minerals she takes can show up in her breast milk, including essential fat-soluble vitamins like A, D, E, and K. Mothers who are undernourished or who are low on key vitamins may produce milk that is not as nutritious as it should be. Considering how much a baby grows and develops during its first year of life, even small vitamin deficiencies could affect the baby for a lifetime. This is why many doctors will recommend that a new mother continue taking prenatal vitamins even after the birth of her child. Another option is to add supplements to your diet to give yourself a vitamin boost. 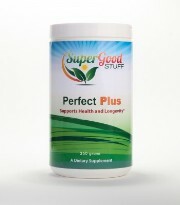 We recommend Perfect Plus, the ultimate superfood for you and your baby!